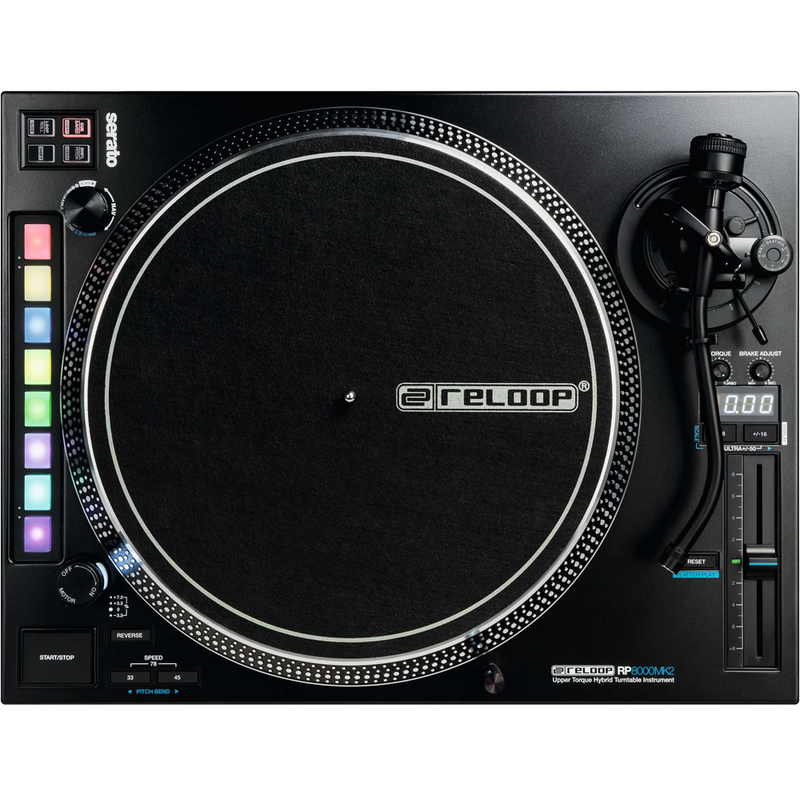 Reloop RP8000 MK2 – the most advanced DJ turntable ever made, developed in close collaboration with leading turntable musicians. 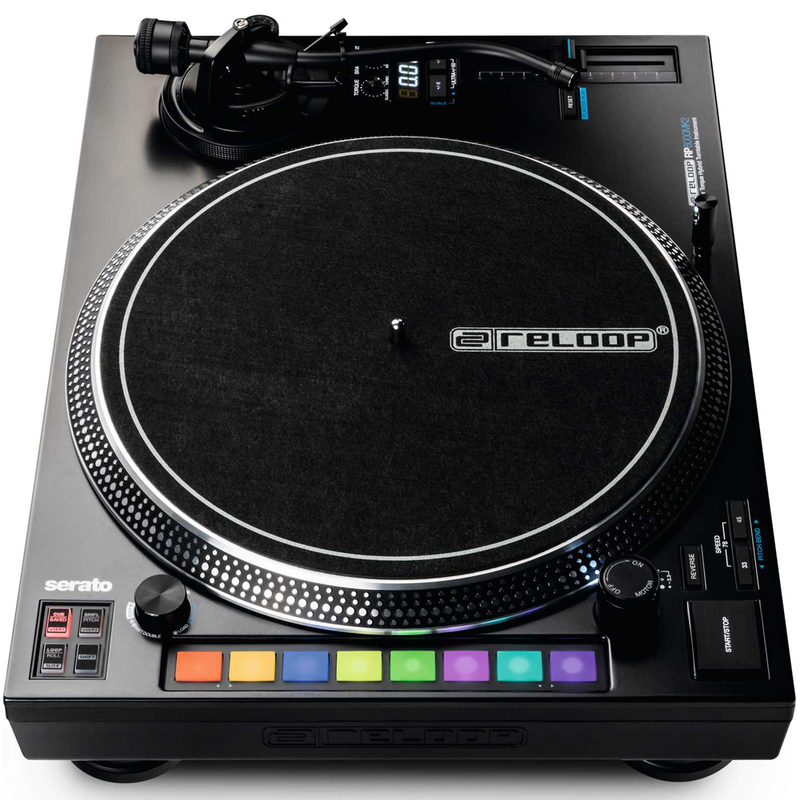 The hybrid turntable instrument with upper-torque direct drive is designed for Serato DJ Pro and features 7 new RGB colour-coded performance modes. 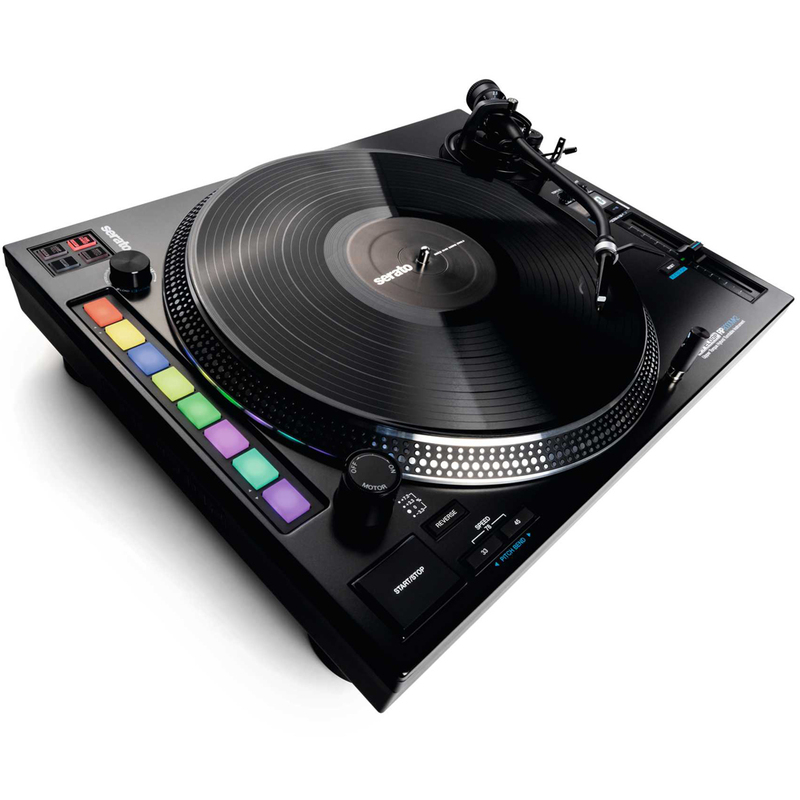 With Platter Play the performance pads can be used to MIDI control the platter speed to enable melodic and more musical live performances. 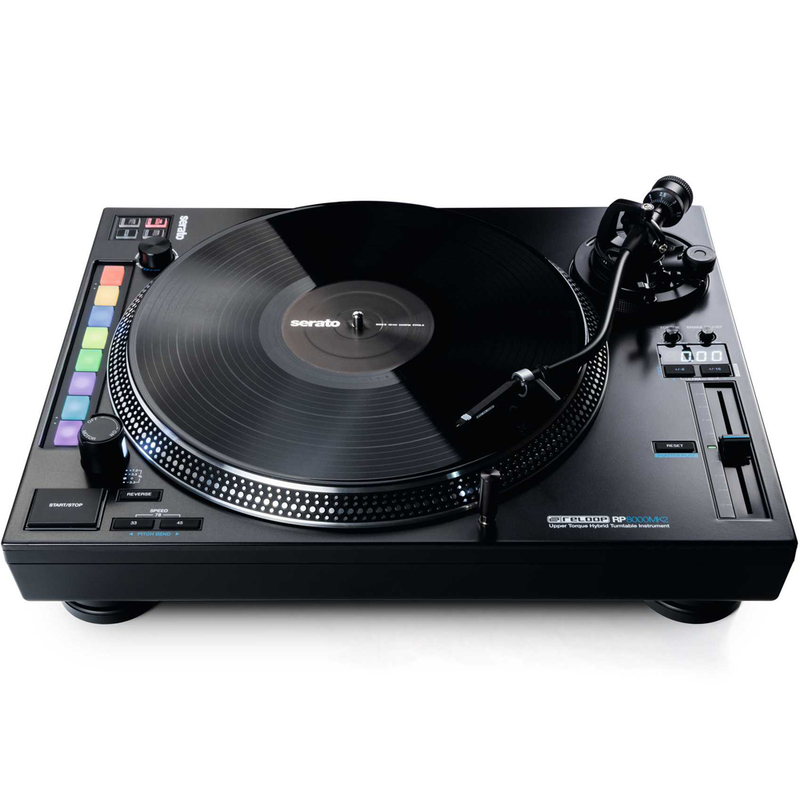 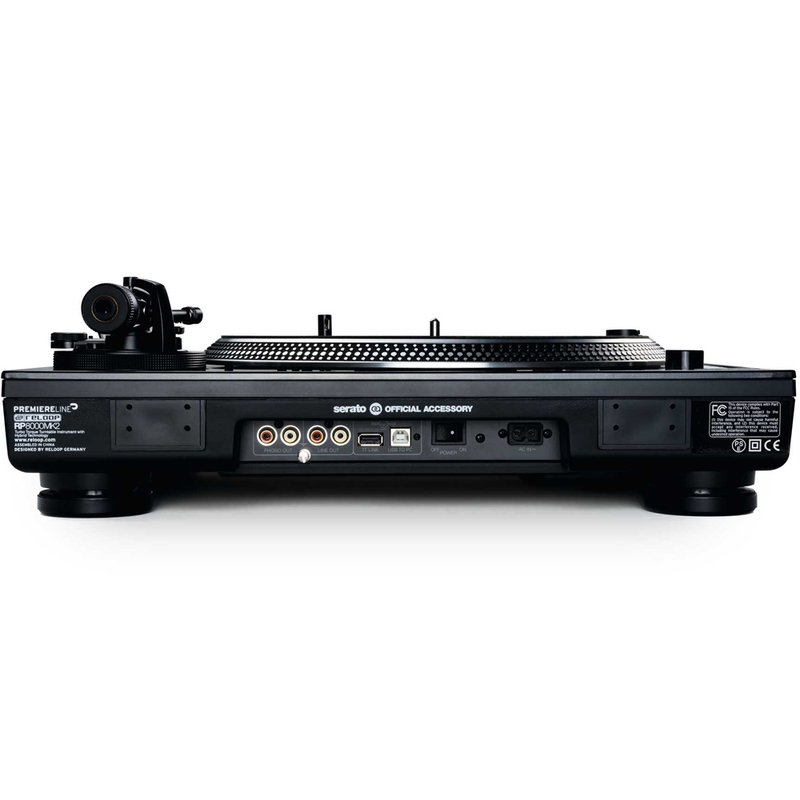 Featuring a rigid chassis construction with an even heavier design for vibration damping and isolation, a more powerful starting torque and the newly developed, height-adjustable MK2 tone arm base the RP-8000 MK2 is perfectly suited to combine a powerful music instrument and a world class professional DJ turntable. 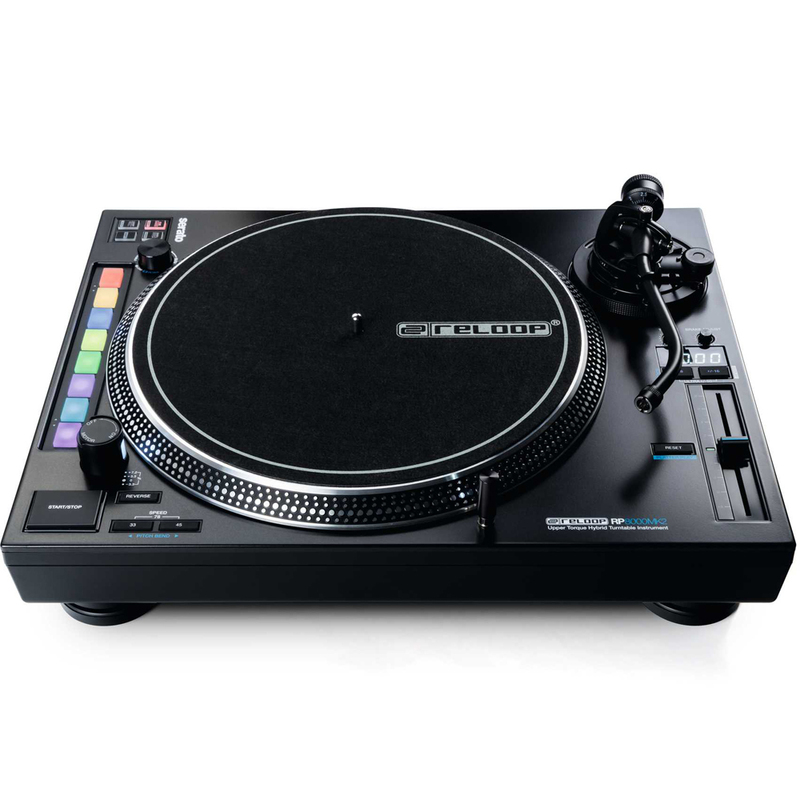 Whats new in the MK2?